Ullevi is a large stadium in Göteborg. The stadium was built for the 1958 FIFA World Cup, but since then Ullevi has also hosted the 1995 World Championships in Athletics and the 2006 European Championships in Athletics, the UEFA Cup Winners’ Cup finals in 1983 and 1990, the UEFA Euro 1992 final, the UEFA Cup final in 2004, and annually hosted the opening ceremony of the Gothia Cup—the world’s largest football tournament. 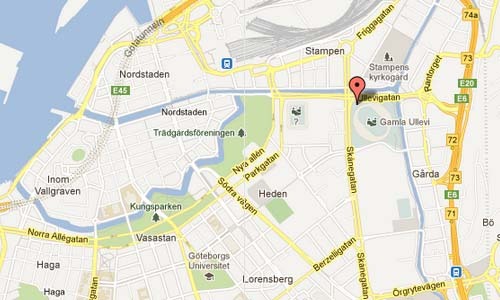 The stadium is the biggest in Scandinavia, with a seating capacity of 43,000 and a total capacity of 75,000 for concerts. The Ullevi stadion was for a while called Nya Ullevi (New Ullevi), since close by was the former Gamla Ullevi (Old Ullevi) stadion. 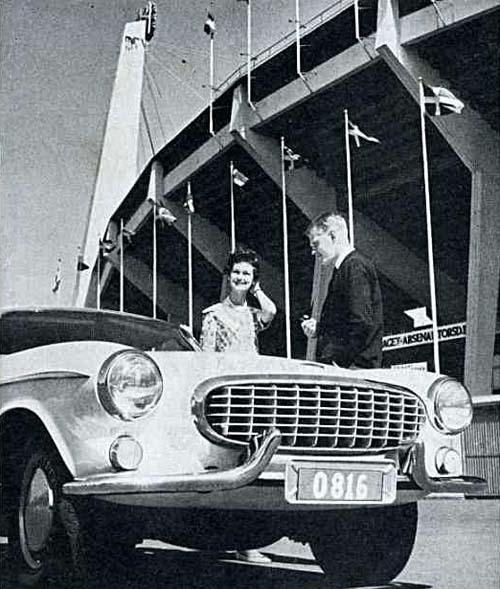 But recently, the Gamla Ullevi stadion was rebuilt, but kept the ‘old name’. The statue in front of the stadium is of boxing legend Ingo Johansson. Ingemar Johansson (September 22, 1932 – January 30, 2009) was a Swedish boxer and former heavyweight champion of the world. Johansson was the fifth heavyweight champion born outside the United States. In 1959 he defeated Floyd Patterson by TKO in the third round, after flooring Patterson seven times in that round, to win the World Heavyweight Championship. As a result, Johansson won the Hickok Belt as top professional athlete of the year and was named the Associated Press Male Athlete of the Year and Sports Illustrated magazine’s “Sportsman of the Year”. In 2000, the Swedish Sports Academy selected Johansson as Sweden’s third-best athlete of the 20th century, behind tennis great Björn Borg and Alpine skiing great Ingemar Stenmark.